Hi! 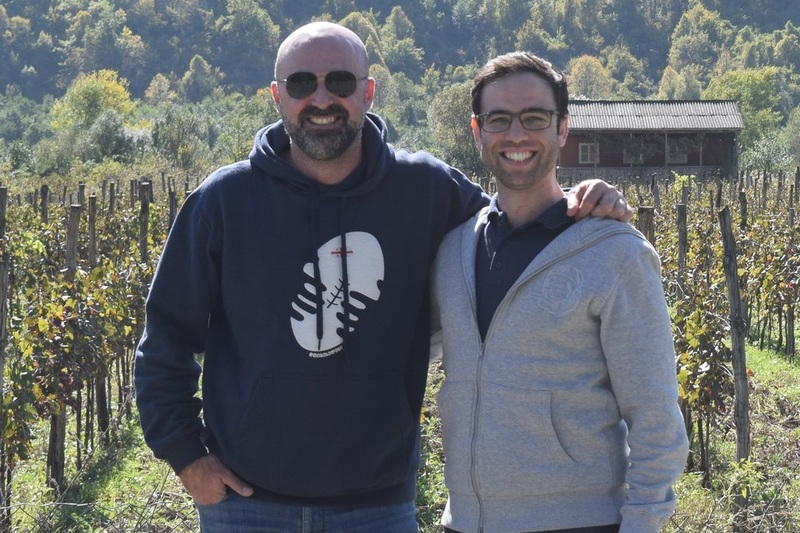 We are the founders of gvino UK: Danilo and Anzor. We met at Warwick Business School during our Masters degree in 2015. It was during this time that we hatched a plan to share the Georgian wine experience with you. We import the finest wine, always made using traditional methods, from the mystical Khaketi region of Georgia. Georgia (საქართველო) is a picturesque and historic country located in Eastern Europe. Georgia borders Russia to the north and east, Azerbaijan, Armenia and Turkey to the south, and the Black sea to the west. The country has a population of around four million people. The capital, Tbilisi (თბილისი), sits slightly east to the middle of the country. Recently, evidence has been found that shows wine making in Georgia dates back over 8000 years. It is therefore likely that Georgia is the cradle of wine. Indeed, our word for wine probably comes from the Georgian word gvino (ღვინო). The ancient art of wine making in Georgia involves the use of large clay amphora, called qvevri (ქვევრი). Where can I buy Georgian Wine?